The Japanese paint manufacturer has a $10 billion market value, Bloomberg reported Thursday. Axalta’s market cap was $7.52 billion as of 3:26 p.m., with shares trading at $31.50. Bloomberg reported that the deal would have been “the most ambitious ever for Nippon” had it succeeded. Axalta’s CEO said his company was happy to go it alone. 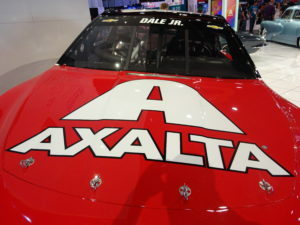 Axalta announced Nov. 21 it’d broken off “merger of equals” talks with Dutch paint firm AkzoNobel. Shaver also thanked “our customers, investors, suppliers, and employees for their patience and support” while it explored being sold to AkzoNobel and Nippon Paint. “We look forward to continuing the performance you have come to expect of our company,” he said in a statement.